The death of a family member is always a profound loss. When the death is caused by the wrongful act of a careless person or organization, the loss is even more excruciating. When a loved one is robbed of years of life, that death can shake a family to its core. At Kiesel Law LLP, we understand this. We know that sensitive, caring and responsive legal representation is of critical importance throughout our relationship with our clients. We also understand that we can never undo the harm or bring back a loved one. But we can and do aggressively seek fair and full compensation for the loss of financial support and the loss of love, care and comfort which the wrongful death has caused. Frequently, we can also make the world safer by urging better behavior, safer products, and more thoughtful business practices. 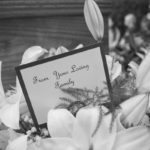 Ensuring that another family does not suffer in the future is a comforting testament to the life of the departed loved one. Our attorneys have a combined 150 years of experience representing victims. We have a proven track-record in virtually every type of wrongful death lawsuit. Our results and our leadership have been recognized at the highest levels of our profession. But more importantly to us, our results have been critical to improving the lives of the most important people – our clients.